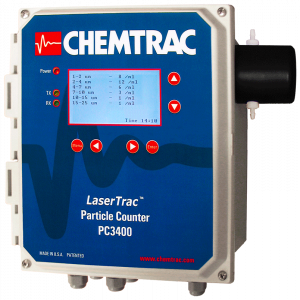 Liquid Particle Counter PC3400 | Chemtrac, Inc. 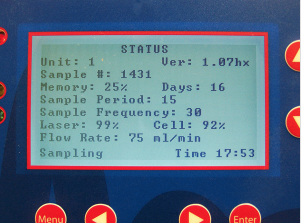 The PC3400 is the first Particle Counter specifically designed for use in drinking water treatment plants and includes an uncomplicated calibration process for the end user. Simply access the calibration features via the front panel keypad and perform automatic sizing calibration of any selected size range in seconds. No computer or software is required. With the PC3400, the customer is no longer dependent upon the manufacturer for calibration of their instrument. The PC3400’s performance reliability, ease of use, and measurement capability make it an ideal choice for online filter performance monitoring and optimization. This is most clearly demonstrated in the PC3400’s ability to detect filter breakthrough hours in advance of any NTU change. 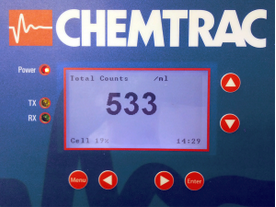 Close to two decades of customer experience with Chemtrac’s Particle Counters has proven the effectiveness of this technology to take water quality monitoring to the next level. 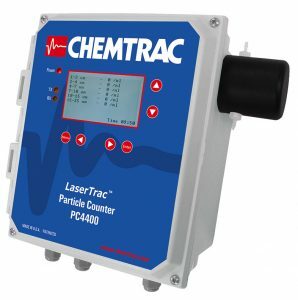 Chemtrac’s PC3400 is the right choice if the optimization demands of your application are not being met by relative and less sensitive measurements of water quality like those provided by turbidimeters or SDI test systems. 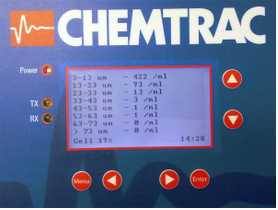 Chemtrac has experience with many applications that require the measurement of liquid borne particles.